The race where the hills feel like mountains! Many years ago the legendary Peter Holles from the Brookfield Runners initiated this off-road race along the tough course around the Gold Creek Reservoir. 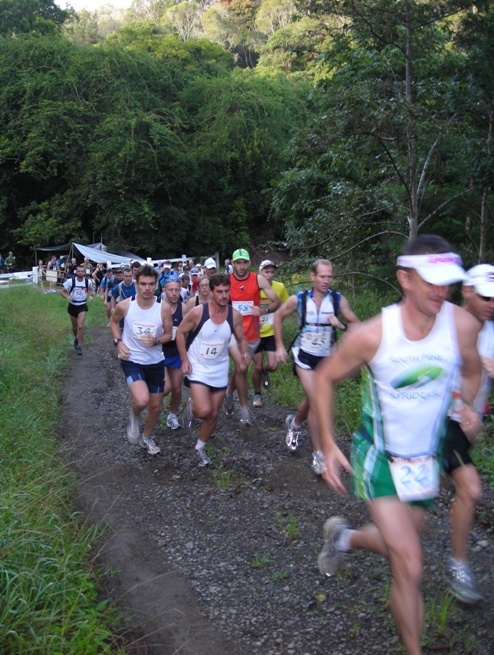 The course is 18km long and leads you over 18 serious hills. 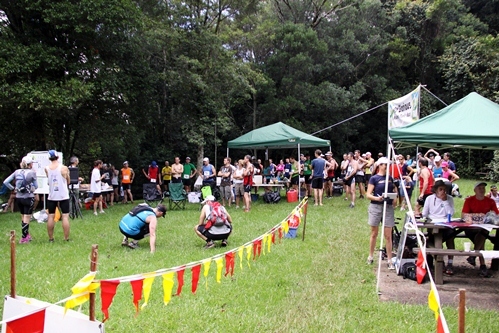 Starting life as a small scale friendly race, with a sausage and a beer at the end to refuel the legs, this run has grown into a popular hit-out to test the fitness of locals and the not so locals. This event is limited to 170 participants. Slow wave competitors are those who expect to finish in greater than 2 hours 15mins. Race wave competitors are those who expect to finish in under 2 hours 15mins. You need to carry at least 750mls of fluids. There is one checkpoint halfway along the course with water, electrolytes and lollies. The entry fee includes a BBQ afterwards, but there will be also fruit, water and (sports) drink to replenish what you have left out there on the trails. Thanks to Leeanne and Stephanie from team ‘No doubts’ who are raising funds for the Kokoda Youth Foundation to organise the catering for this event! Coffees are available too, but they are for you to purchase separately. Car-pooling required: Options are available during the registration process. Every odd year the race is run anti-clockwise, every even year the race is run clockwise. 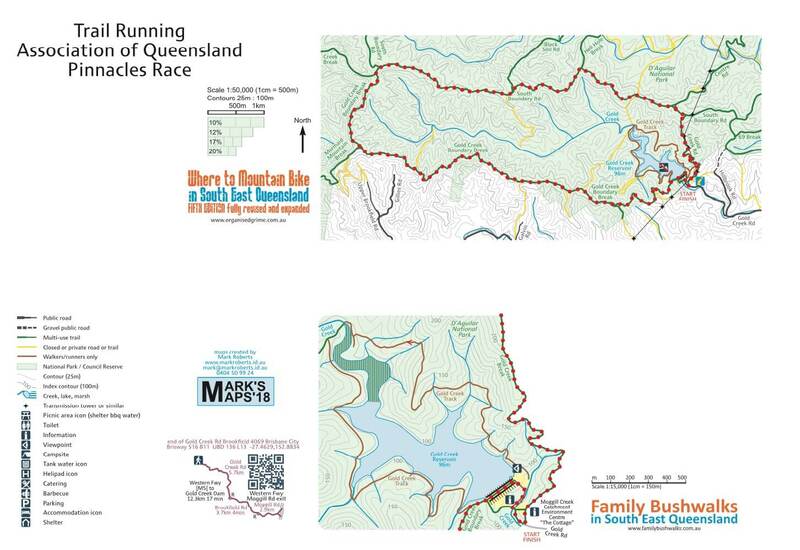 The course is 18km long over serious hills in Brisbane Forest Park (d’Aguillar National Park), at the end of Gold Creek Road Brookfield, starting from Gold Creek Reservoir. It is a race for seriously fit runners. There is one checkpoint halfway along the course with water, electrolytes and lollies. 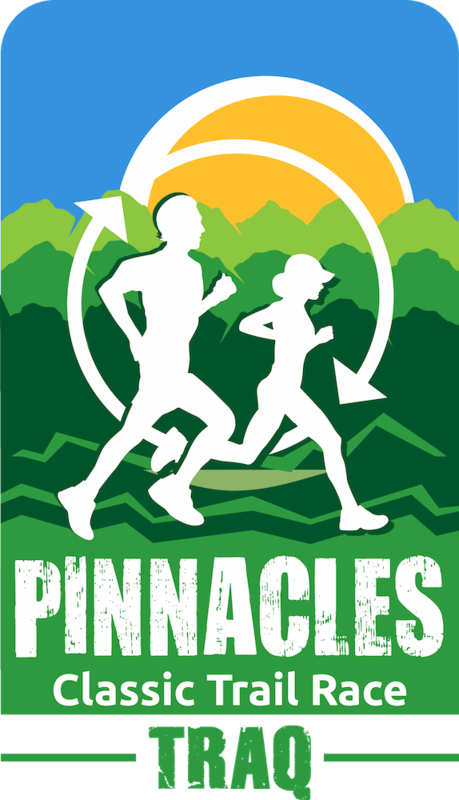 Leave the trails behind as you found them: no littering, running off-track or contaminating. Download and view the full General Access and Use conditions from Seqwater. I hope you will have great fun running this great course, and I am looking forward sharing a laugh and something to eat/drink with you at the finish line!